CounterBooks, a leading online retail accounting management suite for the fuel and convenience industry, announced today that it is partnering with RCS. RCS is one of the UK’s leading accountancy service providers to the fuel and convenience industry. This partnership brings two market leading firms together, who are committed to helping fuel and convenience retailers thrive across the UK. RCS has a nationwide team of senior accountants with extensive industry experience who cover the length and breadth of the UK, from Scotland to the Channel Islands. The CounterBooks’ cloud based system allows for improved communication and collaboration between RCS and their clients, as the system can be accessed from anywhere with an internet enabled device such as a laptop, tablet or mobile phone. This reinforces RCS’s focus on developing meaningful relationships with their clients which plays a crucial role in helping to improve the retailer’s performance. CounterBooks’ online retail accounting management suite strongly supports RCS’s value of improving retailer performance. This is implemented through automating the accounting process (EPOS and electronic invoices) and in providing accurate, business specific and real time reporting. These features allow retailers, with the support of RCS, to make informed decisions, thereby driving the performance of their fuel and convenience businesses. This cooperation will offer fuel and convenience retailers the combined benefit of a local and highly experienced retail accountant with immediate online access to the CounterBooks’ market leading retail accounting management suite which is specifically designed for fuel and convenience retailers. To learn more about CounterBooks and RCS, please visit www.counterbooks.com and http://www.retailaccountants.co.uk/counterbooks.html. Retail Consulting Services (RCS) are one of the UK’s leading accountant consultancy service providers to the forecourt, convenience and hospitality sectors. RCS work with owners, operators (such as HKS Retail Limited) and EPOS companies in fuel and convenience retail. They provide accounting and consultancy services across the UK and help clients to manage a seamless flow of information from EPOS through to the accounting system. 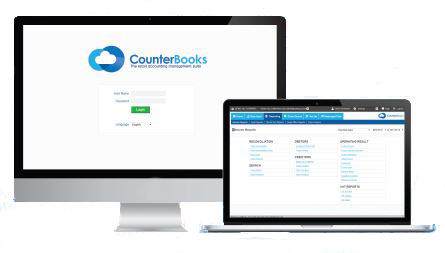 CounterBooks was developed in 2001 – 2002 and launched on 1st January 2003 as the world’s first on-line full ledger accounting system designed specifically for retailers. CounterBooks was originally developed as a Pro-Retail MS DOS system by a frustrated computer-programmer-turned-retailer who struggled with traditional accounting systems which were not developed for retail businesses. His aim was to provide an easy to use system suitable for a retailer with no accountancy experience while still providing full easily understandable data reporting. Last month, Counterbooks was shortlisted in The Association of Convenience Stores Technology Showcase. Categories: Press Releases | Tags: accounting management suite, convenience retailers, EPoS, fuel retailers, Micros Prism 2, RCS | Permalink. According to IGD research the convenience retail industry is set to grow by 29.8% over the next five years, taking its value to £46.2bn. In this article, we take a look at what trends convenience retailers should expect to see this year. Despite the more positive economic outlook for 2014, households are still feeling the pressure on their shopping budgets. This year we should expect to see an increasing number of savvy customers, looking for the best value products and discounts wherever possible. Customers are turning to social media to drive their shopping decisions and find the best value products and discounts. Developing relationships with customers not just in the c-store but also online will be key for convenience retailers in 2014. Customers are constantly comparing prices online (home delivery) and in-store. Convenience retailers will need to work hard in 2014 to lure customers away from online offerings from supermarkets, demonstrating the value of the local c-store. Sainsbury’s will have more c-stores than supermarkets this year and we should expect this trend to continue amongst other supermarkets, such as Morrison’s who hope to open 100 c-stores in 2014/15. Booker, the wholesaler behind the Premier symbol group have launched the “Family Shopper” concept which combines convenience and discount to meet customer needs. We should expect this industry development to continue in 2014, particularly as discount supermarkets Aldi and Lidl have seen a successful 2013 with their discount c-store offering. According to IGD, fresh fruit and vegetables are the fastest growing category within the convenience retail industry. Convenience retailers will be looking to showcase their fresh produce this year with innovative methods to attract customers’ attention. A trend which started in 2013 and set to rise this year, customers are taking advantage of the ‘convenience’ of Click and Collect, allowing them to purchase goods online and collect them in a local c-store – offering c-stores the opportunity to entice ‘click and collectors’ with their in-store offerings at the same time. Food-to-go accounts for 15% of footfall in c-stores and is set to increase. C-stores will be taking up the opportunity of offering breakfast and dinner food-to-go options as well as lunch time offerings this year. With c-stores providing more revenue for oil companies than fuel, we should expect to see a rise in convenience retailing at fuel stations in the coming year. Supermarkets are also looking to profit from this trend with supermarkets including Asda, now offering some of the cheapest fuel in the UK paired with a smaller Asda store. As familiarity with new forms of payment methods grow, we will be seeing a greater demand for more flexibility and ease of payment in 2014. C-stores will need to adapt with payment options including contactless payments, in-store Pay Pal and mobile payments. Categories: Convenience retail, Convenience retailing | Tags: C-store, click and collect, contactless payments, convenience retail, convenience retail industry, convenience retail trends, convenience retailers, Food To Go, fuel stations, oil companies, shopping, showrooming, supermarkets, symbol group, wholesaler | Permalink. Prior to the recession food, non-food and home-related sectors of the retail industry were all doing reasonably well. Retail expenditure year-on-year growth was around 3.6%. However, with a recession there are inevitably some winners and losers in retail. 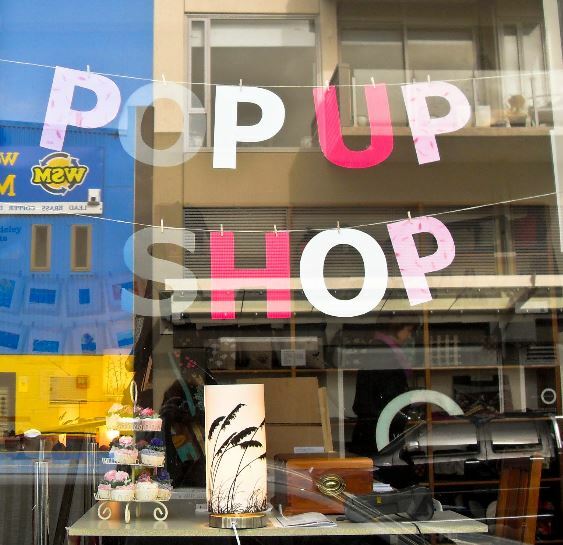 By 2012 non-food retail had shrunk by £0.7bn and it has been further hit by the unseasonable weather this spring. So what exactly is happening in the non-food sector and who has been affected? Volumes of non-food have decreased this means that there is less opportunity to sell, which is particularly worrying for non-food retailers who depend on economies of scale. So who’s suffered the most? Homeware as well as the music and video industry have taken the brunt of the recession. Not only are consumers cutting back on luxuries but the weather in the UK has not helped consumer spending. B&Q took a £25m hit on its bottom line due to the wet summer last year and the icy weather in UK has affected the store further. At a time when people have normally snapped up BBQs people have instead wanted warm up under a blanket with a cup of hot chocolate. Further, the collapse of Blockbuster and HMV were another sign that the non-food sector was struggling. However, it’s not all bleak, the food sector has been benefitting from the recession but is also having to adapt to the changing buying behaviour of consumers. But what’s going on in the food sector, it doesn’t seem to be fairing so badly? Food retail has continued to grow, with inflation causing consumers to spend more on their weekly shop. Food purchasing now makes up 45% of the total retail spend which makes a difference of 7% from 2004. – Consumers are buying little and often. – Click and collect is bringing increased footfall to convenience stores. – Consumers are focussing more on price and are looking for value. – Increased use of technology. What does technology have to do with c-stores? Ageing Population: The population is also ageing and increasing numbers of convenience retailers will need to look at how they can attract the over 65s, particularly as family shoppers (age 35 – 44) are tightening the purse strings. The key to success for convenience retailers is driving customer loyalty so it’s important to stay on top of developments within the evolving industry. Categories: Convenience retail, Convenience retailing, Retail news | Tags: B&Q, Blockbuster, click and collect, consumer, consumer buying behaviour, convenience retailers, food retail, food sector, HMV, home-related retail, music and video industry, non-food retail, non-food retailers, payment technology, reatil expenditure, retail, retail industry, total retail spend | Permalink. Here’s a great video about how the CEO of 7 Eleven effectively uses promotional strategy to develop 7 Eleven C-Stores in Hong Kong. Categories: Convenience retail, Convenience retailing | Tags: 7 Eleven, add value, convenience retailers, convenience store, fresh and fast food, hot food counters, retail, sales categories, shopper traffic, stores, TCC | Permalink. CV Retail, who provides CounterBooks a leading online retail accounting system to petrol convenience retailers, is pleased to announce that it will be attending the ForecourtEXPO 2012. The ForecourtEXPO will be held on the 4th October 2012 at the Hilton Birmingham Metropole. The event has been developed in consultation with retailers and suppliers; and promises to inspire, educate and innovate, whilst providing the perfect industry event to develop your forecourt business. Users of CounterBooks include Shell, BP and Esso as well as many UK independent fuel retailers. CV Retail will be exhibiting at ForecourtEXPO 2012 to further its relationships with existing clients and to meet other leading UK forecourt retail businesses. John Roberts, Managing Director of CV Retail says “We are delighted to attend ForecourtEXPO and look forward to speaking with retailers about how CounterBooks can help them reduce costs and improve reporting which drives performance and assists in the management of risk”. CounterBooks, online retail accounting software represents an easy and innovative management tool which gives you an effective financial overview of your retail operation. It was developed as online accounting software for the retail market, first launched in Switzerland and Finland in 2003; in Ireland and Germany in 2005; in the UK in 2007 and in South Africa in 2010. Categories: Forecourt Accounting | Tags: convenience retailers, CounterBooks, drive performance, ForecourtEXPO, improve reporting, independent fuel retailers, manage risk, Online Retail Accounting, petrol, petrol convenience retailers, reduce costs, retailers | Permalink.